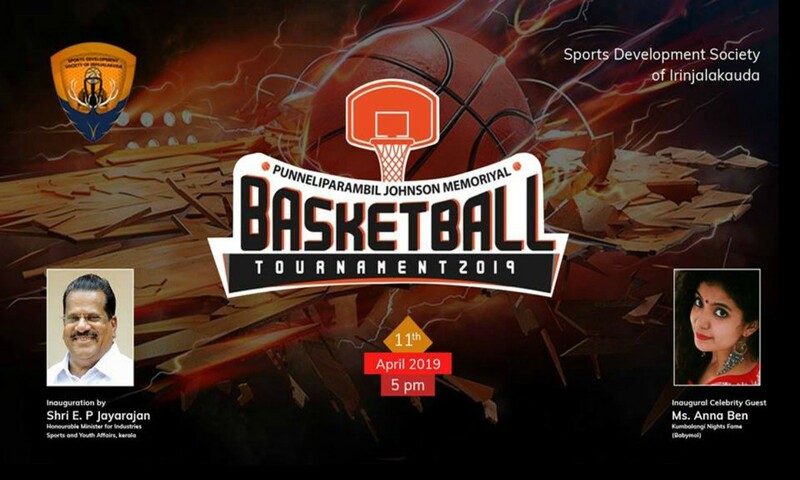 Irinjalakuda,April 10: Stage is all set for the inaugural edition of the Punelliparampil Johnson Memorial South India Basketball Tournmanet here at the Christ engineering college's flood lit basketball stadium. Organised by Sports Development Society of Irinjalakuda, the tournament will stretch from 11th to 14th April. E P Jayarajan, Minister for Sports and Youth affairs, will inaugurate the tournament at 5pm on 11th April 2019 . The function will be presided by P J Sunny, President, Kerala Basketball Association . ‘Kumbalangi Nights’ fame actress Anna Ben will be the celebrity presence at the inaugural ceremony. The four day tournament will feature six teams divided into two groups and will be played on a league plus knock out format. Group A consists of Indian Bank Chennai, Sree Kerala Varma College Thrissur and KE College, Mannanam. In Group B, Kerala State Electricity Board Thiruvanthapuaram, Central GST and Customs Kochi and hosts Sports Development Society of Irinjalakuda will compete . On the opening day Indian Bank will take on Sree Kerala Varma college and KSEB, Trivandrum, will meet Sports Development Society of Irinjalakuda.